Is there a white pvc / vinyl fence that's not glossy or shiny? 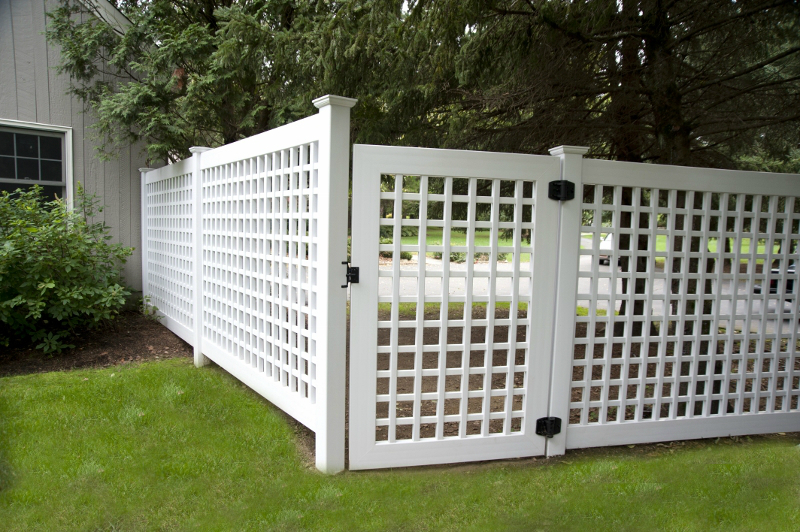 Grand Illusions Color Spectrum Patio White (L101) Matte finish PVC / Vinyl Fence. Are you looking for white vinyl fence without the shine? Do you love the “white fence,” but don’t like that glossy look? You’ve come to the right place. 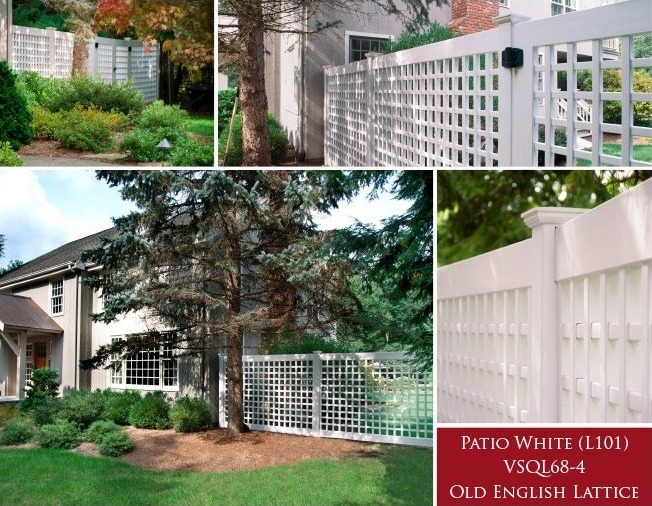 This house is the perfect backdrop to highlight a perfectly elegant white pvc / vinyl fence. 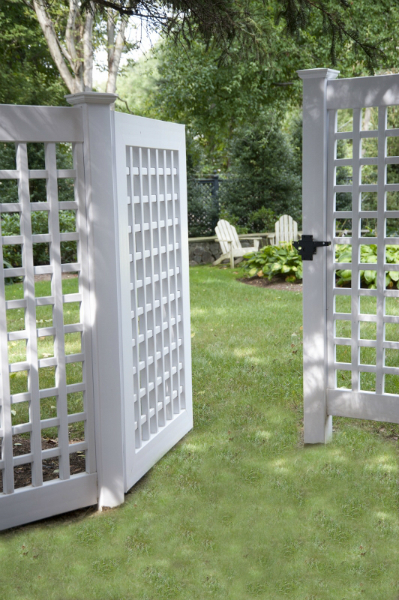 The style of this Olde English Lattice fence compliments the grids in the windows, while the matte finish of the Grand Illusions Color Spectrum Patio White (L101) gives the illusion of being painted wood without the maintenance. So really, you have the best of both worlds. A happy marriage of classic style and cutting edge technology. The look of this fence will never be outdated or go out of style. These homeowners will be enjoying this fence for years to come. These photos highlight a terrific install of 12 sections of VSQL68-4L101 Grand Illusions Color Spectrum vinyl fence in Patio White (L101). The colors were chosen to match the homeowners home accents. “The customer had a green lattice fence that was deteriorating. I told them that we can fix, but we’ll be back again and again. I suggested they just fix the whole thing now. The (Grand Illusions Color Spectrum) Patio White (L101) matte finish white pvc / vinyl fence softened the look. The regular white vinyl fence is a bit too bright and glossy. The Patio White dresses up the house considerably. The customer is very pleased with it.